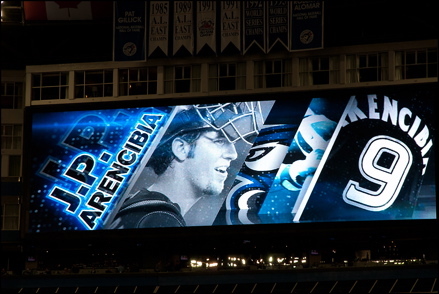 On Wednesday, Arencibia was sitting dead on .300 when he came up to the plate in the eighth inning. He’d gone 0-for-3 against the Mariners, following an 0-for-3 performance on Tuesday night. The kid kept the average up there, though, bouncing a groundball into leftfield, scoring Travis Snider from second and capping an 8-3 win for Toronto. The Jays snapped a four-game skid as Marc Rzepczynski (1-0) got the victory in relief of Kyle Drabek.